When it comes to Love sky is the limit .Whether you love or hate the idea of Valentines, we've put together a tried and tested list of romantic restaurants and romantic things to do around Dubai for Valentines. Here are some unique ideas for celebrating valentines in Dubai. Valentines day celebration with a view - Morimoto - Enjoy Melt-in-the-mouth good Pan-Asian fare with the most spectacular view of the canal and Burj Khalifa - nothing short of breathtaking. There will also be a live saxophone performance to complement your exquisite menu. Price : Set menu at AED 250 per person including a glass of Champagne. Depart early afternoon on a leisurely drive into the desert followed by a stop over at a camel-breeding farm. Relax in an unspoiled natural landscape and soak in the sunset views. You will then be taken to a private camp setup just for you where you will have the opportunity to whizz down the golden dunes with sand-boarding activities whilst your host prepares a cozy private dinner setting. You will also have the opportunity to experience sheesha and traditional Arabic bbq. We offer a complete private desert experience combing the perfect ambiance of ‘dining under a star lit sky’, ensuring your special occasion is legendary. 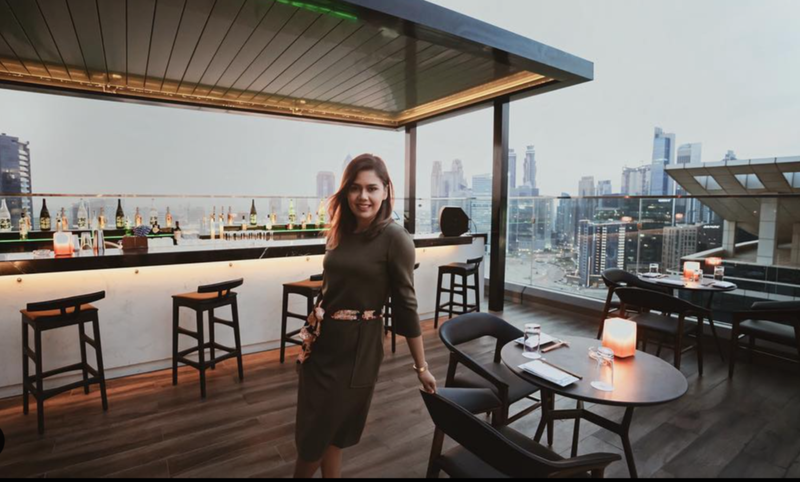 Romantic Valentines day dinner in Dubai - THIPTARA - Thiptara, the contemporary alfresco waterfront restaurant exudes romance with stunning 360 degree views of Burj Lake, awe inspiring Dubai fountain and decadent Thai set menu. Its guaranteed to make your date a magical one. Location : Ground Level, Palace Downtown. Price : Table for 2 - set menu with soft beverage - Aed 800, set menu with alcohol Aed 1370. Valentines Afternoon Tea date in Dubai - Address Downtown Lounge’s Secret Garden complemented with enthralling views of the iconic Burj Khalifa is a perfect setting to create a memorable moment with your loved one. The Bijou Afternoon Tea at the Lounge of Address downtown is a romantic escape to indulge in savory and sweet delicacies. The pretty selection is presented over a bespoke silver stand with feather-embossed Wedgwood china and a selection of the finest TWG blends the hand-crafted delights - a straight way to your loved ones heart. Location : Address Downtown hotel. Price: Per person AED 150 per person including a choice of TWG tea blends, coffee or soft beverage. Valentines day at home in Dubai - If getting cozy at home with the perfect valentines day playlist and a lovingly prepared dinner for your sweetheat is what you are after, then we have an incredible solution for you. Online food delivery company Kibsons. have rustled up some romantic DIY treats to impress the loved one in your life. Whether you prefer a poussin, fancy some fish, love a bit of lamb or savour a great squash, there is an option with cooking instructions for all couples to enjoy together from the comfort of their home. For more information, please visit www.kibsons.com or call +971 800 5427667. Prices and offers : With any Mani/Pedi, Head / Neck & Shoulder Massage & Glamglow Mini Facial – get a FREE Glamglow product worth up to AED220 Get 50% off Keratin & Botox Hair Treatments Receive a FREE red or pink TITO polish with every visit‘Love Yourself Package’ – pick 2 pampering services and get the 3rd FREE. Valentines day in a cosy intimate setting - Ravioli & Co. Dubai’s first traditional Pastificio is a cosy nook with candle-lit tables, fairy lights, big-hearted food, homely Italian fare and vibe that’s ideally suited to amorous couples. The menu is licensed and you can find some great wines here too. Price : Approximately AED 500 for a couple with Appetizers, Mains and Dessert. Budget Valentines day option in Dubai - Black Tap, the New York cult burger joint, is rolling out the red velvet carpet this Valentine’s Day with the ultimate CrazyShake upgrade for would-be Cupids . Do not miss the limited number Red velvet shakes here. Valentines day special movie date - Film fanatics can sit back, relax and enjoy a romantic classic or Hollywood blockbuster this Valentine’s Day. To celebrate Valentine’s Day on the 14th February 2019, Roxy Cinemas are giving film-fans the chance to spoil their loved ones with an exclusive screening of all-time-favourite romantic classic, Notting Hill – available on the 13th and 14th February. Location : Roxy Platinum Plus at City Walk, The Beach and Box Park. Price : Both films are included in Roxy Cinema’s one time deal this Valentine’s Day, where guests can enjoy the Couples Combo for AED 300. The package includes two Roxy Platinum Plus tickets complete with a menu consisting of two starters, one sharing platter plus two romantic desserts and mocktails. Valentines day staycation in Dubai - A staycation at Fairmont Dubai Gold suit is truly special and budget friendly this Valentines. Guests will be welcomed with rose petals , a private butler, a bouquet of roses and a personalized gift each for the couple. Dinner includes a tailor-made gourmet menu at the Exchange grill and Breakfast served in room. Valentines in the Library - This Valentine’s Day, Maison Assouline, a luxurious culture concept store and eatery, is offering a memorable ‘Valentine’s in the Library’ and a selection of unique titles that will make the most meaningful presents for your beloved. Serving the perfect ambience with ultrachic interiors, swooning Frank Sinatra, a delicious four-course menu, enchanting book titles and the dancing Dubai Mall fountains, where else would you rather be this Valentine’s? Location: Maison Assouline, Fashion Avenue, The Dubai Mall Price: AED 300 per couple. For bookings call +971 (04) 438 4546 or email assoulinedubai@emaar.ae.